Bling out your arsenal and save with the Gemstone Bundle. 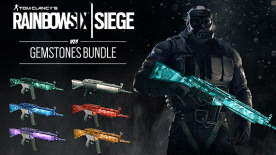 This bundle unlocks all the Emerald, Cobalt, Amethyst, Platinum, Topaz, Cyan and Ruby weapon skins. You can apply these skins to any weapon in your loadout.